Before looking for a landscaper, you should be clear about how you want your garden to look like and the amount of money you are willing to spend. Make a list of the things you want in your lawn. Do you want more climbers, a small playing area for kids, a separate fun place for barbecue nights or do you want a traditional minimalist appearance. Fix a budget beforehand so that there are no monetary hassles during discussions with the landscape designer. The landscaper can accordingly recommend you what is achievable with the resources available. If you select a landscaper in a rush, chances are you might not get the dream garden you wished for. Therefore, it is essential to do exhaustive research to ensure amazing results. 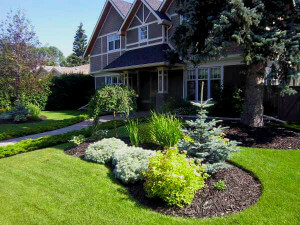 Most landscapers have websites which showcase their portfolios and expertise. Take a proper glimpse at the 'then' and 'now' pictures to understand the landscaper's skill. One can also contact them directly and visit their office. Ask them about their experience especially in creating suburban gardens, various design options and other services they offer. Most essentially, the landscaper should be completely approachable to your requirements. You should feel confident about the person who is going to give your garden a splendid appearance. Give the designer a brief idea about how you want the garden to look like and see if he can come up with realistic approaches. This is the best way to find out the reliability of the contractor. Ask for at least 3-5 references. Speak to them and if possible go to their gardens to assess the landscaper's work first-hand. Looking at the garden will also help you understand the developer's style of working and if it matches with your ideas. If the contractor has done a good job, the contentment will be evident on the house owner's face. You may also check if they are registered with organizations such as Associated Landscape Contractors Association for further authentication. Once you have made a list of landscapers and zeroed in on the designers, ask them to send across bids containing all the specifics. We recommend collecting quotes from a minimum of 4 landscapers to make an effective comparison. 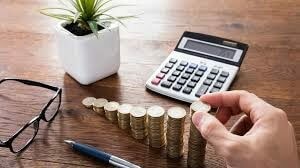 You might receive varying amounts but always remember that the lowest bid may not be the most economical or the highest bid need not necessarily consist of top-class materials. Study each landscaper's quote carefully and in addition, also evaluate his experience, expertise and responsiveness to your thoughts. In case you can't understand any point, inquire with the developer without any hesitation. Look for services offered after completion of the project and their duration. Go through every detail minutely to avoid unwarranted troubles once the project begins. Inspect the quality of supplies to be used and equipment belonging to the contractor. If the people employed by the contractor are reliable and wear proper uniforms. to be made, materials and their respective costing and time frame for finishing the project. Converting a barren piece of land to a beautiful setting takes time. Hence, you must be patient once the work begins and don't expect a magical transformation within few days. Leave your dream project in the hands of the landscaper. Nonetheless, this can only happen if you select a competent landscape developer. Follow these tips to make your search easier.